One of the essential mandates in the BSA’s Outdoor Code is: BE CAREFUL WITH FIRE. In addition to being the height of simplicity, this Single Fire Bucket Holder makes an invaluable contribution towards safety around the fire circle. 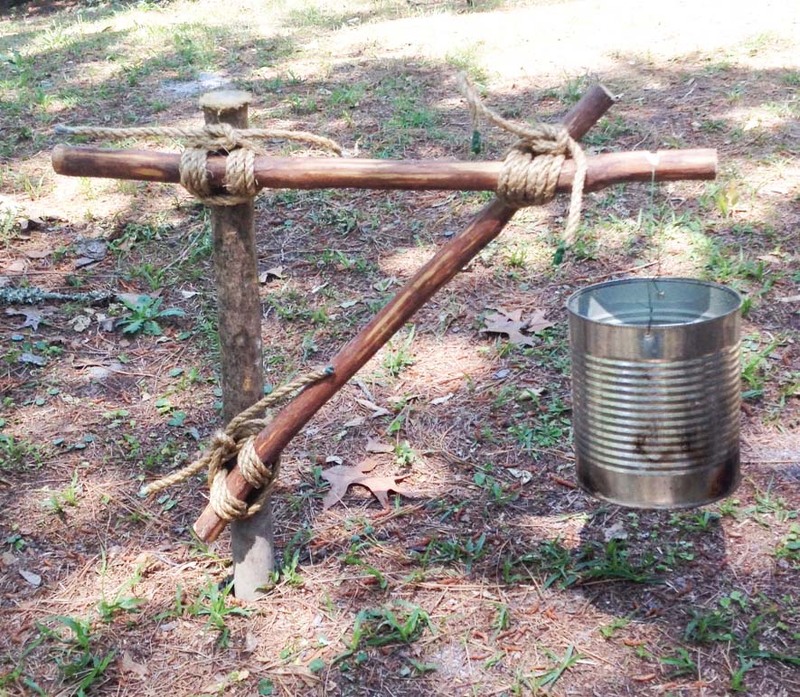 Since it’s always a safe bet to have a supply of water right near our cooking and campfires, why not add some convenience and accessibility in our campsites, especially because when fire buckets are on the ground, they’re frequently knocked over, inadvertently kicked, and even stepped in! 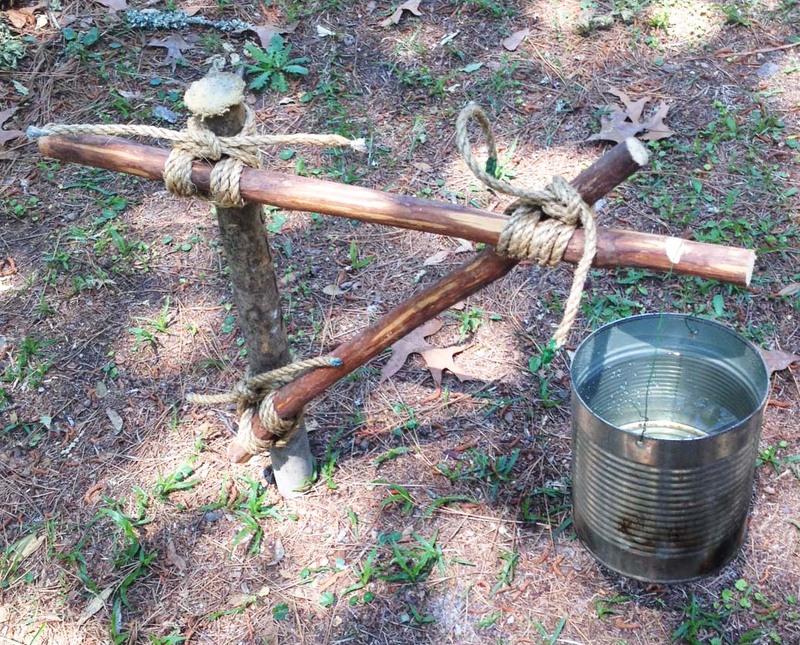 The design for this easy camp gadget is very straightforward. The diagonal support brace forming a triangle is what makes it work, and without it, the notched stick could never securely support the bucket. Where you want the fire bucket, pound in the stake deep enough so it doesn’t shake. Lash on the notched stick with a tight square lashing extending out from the stake at a right angle. Near the notch, lash on the support brace at a 90º angle (not too tightly) and then position the stick so it intersects with the pounded in stake in such a way that the notched stick remains extending straight out. Secure this position with a tight Square Lashing.